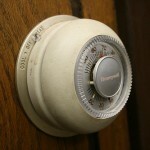 We would like to remind everyone that starting September 15th the heat should be turned ON. Heat minimum requirements are from September 15 – June 1. 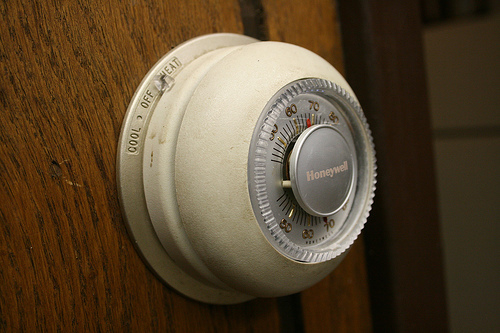 The minimum heat requirement for residential units is: 68 degrees between 8:30 a.m. to 10:30 p.m., and 66 degrees from 10:30 p.m. to 8:30 a.m.
Chicago tenants have a right to heat. Chicago Building Code Chapter 13-196-410 states that: Every family unit or rooming unit to which heat is furnished from a heating plant used in common for the purpose of heating the various rooms of the dwelling shall be supplied with heat from September 15th of each year to June 1st of the succeeding year so that the occupants of a family unit or rooming unit may secure, without such undue restriction of ventilation as to interfere with proper sanitary conditions, a minimum temperature of 68 degrees at 8:30 a.m. and thereafter until 10:30 p.m. and 66 degrees at 10:30 p.m. and thereafter until 8:30 a.m. averaged throughout the family unit or rooming unit. Call 311 and ask for a building inspection – or make an online request here. Write down the Service request number for your records. 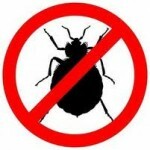 Notify your landlord using Squared Away Chicago. If your landlord does not respond, click “Escalate” and send 24-hour notice. After sending notice, print it & send by certified mail, keeping a copy for yourself. Visit our Heat & Essential Services FAQ page for more information. 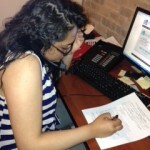 Call MTO’s Tenants Rights Hotline – 773-292-4988 – to speak to a counselor for help. Stay warm, Chicago. Exercise your rights – housing is a human right! March 27: Allergies & Asthma Education w/ FREE lunch! 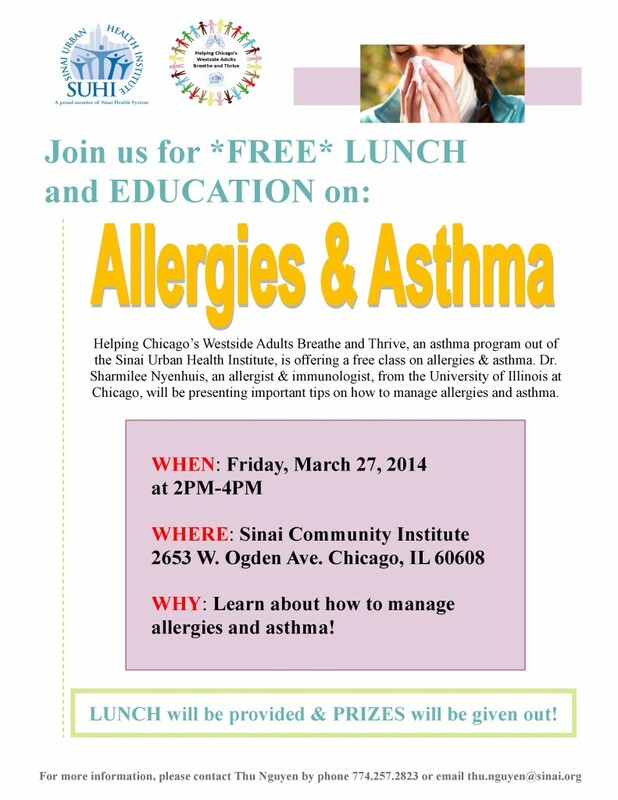 Posted in Healthy HomesLeave a Comment on March 27: Allergies & Asthma Education w/ FREE lunch! January is National Radon Action Month. 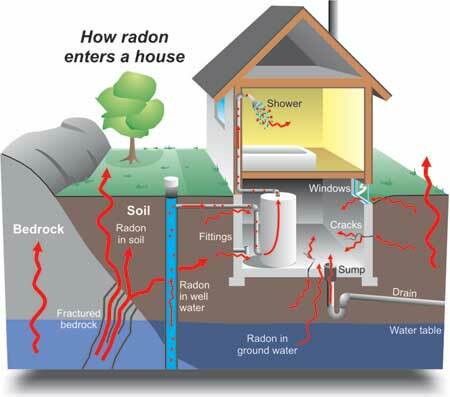 Everyone is encouraged to test their home for harmful levels of radon. 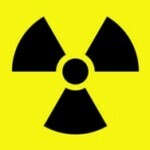 Radon is a natural colorless, odorless radioactive gas and is the leading cause of lung cancer among non-smokers. The EPA estimates that radon causes more than 20,000 deaths from lung cancer each year. 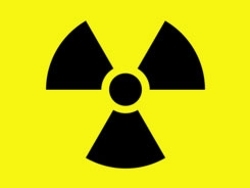 Radon comes from the natural decay of uranium that is found in nearly all soils. It comes into homes through cracks and holes in the foundation. All homes with or without basements should be tested for radon. You can’t see, smell or taste radon. 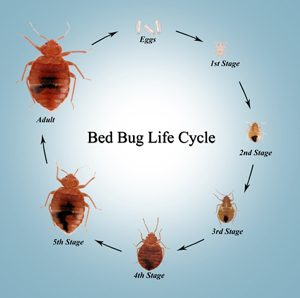 It could be present at dangerous levels in the home without knowing. The best time to test homes is during the winter month when windows are shut and elevated levels of radon are more likely to be detected. The Chicago Department of Public Health recommends taking action to fix radon levels at or above 4 picoCuries per liter (pCi/L). 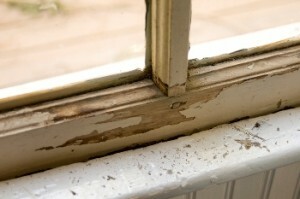 Addressing high radon levels sometimes costs the the same as other minor home repairs. In most cases, a system with a vent pipe and fan is used to reduce radon. For info on how to test, find a qualified radon professional or obtain a test kit at http://www.epa.gov/radon or call the Cook County Radon Hot Line at 708-865-6177. Also check out the EPA’s Radon Guide for Tenants. Property owners are responsible for making repairs when radon is found in the home. If you have further questions you may contact MTO’s Healthy Homes Program at 773-292-4980 ext 231. 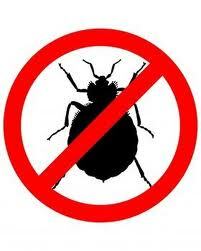 Posted in Healthy Homes, Latest News, More headlinesLeave a Comment on Has your home been tested for Radon? Doctors, organic food, costly tutors, special ed teachers—Robinson has tried whatever she can to help her son get ahead, despite the difficulties he’s faced because of lead poisoning. But Michael’s struggles to learn, to pay attention in school, and to get along with other children continue. While there’s no doubt that the number of children affected by lead poisoning has dropped precipitously since the 70s (when lead was taken out of paint and gasoline), Chicago has the distinction of being home to more cases of lead toxicity than any large city in the U.S.
A recent study out of the University of Illinois at Chicago examined the blood lead levels of third graders between 2003 and 2006—students now likely to be roaming the halls at CPS high schools. It turns out that at three-quarters of Chicago’s 464 elementary schools, the students’ average blood lead level was high enough to be considered poisoned, according to standards set by the Centers for Disease Control and Prevention. And although lead poisoning is rarely mentioned in the debate on how to improve schools, the UIC research shows just how much it may be damaging kids’ ability to succeed. According to the study, lead-poisoned students in Chicago Public Schools are more likely to fail the third grade and score notably lower on their yearly standardized tests. Lead paint, which was banned in 1978, is still present in thousands of older homes and apartment buildings across Chicago, particularly on the south and west sides, where the housing stock is older. And though lead hazards are clearly identifiable and inexpensive to eradicate, the city’s budget for lead-poisoning prevention has plummeted in recent years. As money has dried up, the burden to get the word out has fallen on parents like Robinson. She tells parents about the dangers of lead poisoning every day as she helps Englewood residents obtain health care access and child care through her work at Children’s Home and Aid. How do kids become lead poisoned? It’s not usually from eating paint chips. Instead, lead is typically ingested as dust—dust that’s created when old windows and doors are opened and closed, scattering a fine layer of the invisible stuff on a home’s floors and walls. As is presumed to be the case with Michael, children get this dust on their hands, then put their hands in their mouths. It doesn’t take much: a sugar packet’s worth of lead dust scattered over an area the size of a football field is enough to poison a child. It’s a problem Anne Evens first became aware of when she was working on improving housing on Chicago’s west side in the 80s. “I was sort of struck by the fact that so many low-income families and building owners were stuck with this situation of having so much lead in the environment—this huge burden that caused children to get sick and building owners to be stuck with the cost of removing the lead,” Evens says. The problem bothered her so much that she joined the Chicago Department of Public Health and started working as an epidemiologist in the department’s lead-poisoning-prevention program. A few years later, she became the program’s director. In her ten years with the department, she revolutionized the city’s efforts to combat lead, turning the program from a slow-going effort that only helped children after they had already been poisoned to a proactive movement that aimed to prevent poisoning in the first place. Evens helped file a class action lawsuit in 2002 against the paint industry—an effort that later failed—to get more money to remove lead from Chicago’s homes. Evens was able to get the health department and the Chicago Public Schools to share data, and she analyzed the records of thousands of students who were in elementary school between 2003 and 2006, looking at their lead-poisoning test results and comparing those with their standardized test scores. With the wealth of data from the two departments, she could control for outside factors that might affect a child’s learning ability, including poverty, the mother’s education level, and birth weight. In addition to finding that a child with even low levels of lead in his or her body was more likely to fail the third grade, she also determined that lead-poisoned children scored an average of six points lower on standardized tests—enough to make a difference between passing and failing. Economist Richard Rothstein has described lead poisoning as the “low-hanging fruit” of education reform, saying it is one of many factors that contribute to the achievement gap between white and minority students. He says the public perception is that lead is no longer a problem, but that’s not the case when it comes to poor, minority neighborhoods. Taking an average of the third-graders’ blood lead levels for each school, the data showed that nearly 75 percent of schools have an average blood lead level over five. In the worst schools, average levels top ten, going as high as 16. Using this new CDC guideline, the number of children considered lead poisoned in Chicago jumped considerably—from one in 80 children to one in ten, according to data from the Illinois Department of Public Health. Emile Jorgensen, an epidemiologist with the Chicago Department of Public Health, says that number likely overestimates the amount of children with lead levels above five because of limited accuracy in lab results. 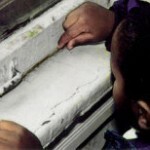 He estimates that the number of children with lead rates five and above is more like one in 12. In addition to being the largest study of its kind, Evens’s research points out that even very low levels of lead can have a negative impact on a child’s ability to learn. Evens now works at CNT Energy, managing a program that replaces old windows to combat lead poisoning and increase energy efficiency. Since she left the health department in 2006, funding has fallen and inspectors have been laid off. If Chicago is the nation’s capital of lead poisoning, Englewood is its center square. 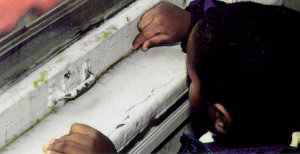 In the 90s, the neighborhood had the highest lead-poisoning rates in the entire country. If Chicago is the nation’s capital of lead poisoning, Englewood is its center square. In the 90s, Englewood had the highest lead-poisoning rates in the country. Brown sits at a long table, surrounded by the brightly decorated room, cubicles on one side and classroom-style setup on the other. She squints at her laptop, sending out e-mails about a meeting at the local school, Miles Davis Magnet Academy. Through a small grant from the Woods Foundation, Imagine Englewood If has been working to increase lead-poisoning awareness, talking to parents at local schools and encouraging local landlords to deal with lead hazards in their apartments. Imagine Englewood If used to be able to administer lead tests to schoolchildren in the area, but the funding’s dried up. The group wants to petition Springfield for more funding and is hoping to develop legislation that would provide extra resources to communities like theirs. Imagine Englewood If has gotten help from Loyola University’s child law program, which has also awarded a handful of small grants to aid efforts throughout the city to educate families about the dangers of lead. It’s not enough, says Loyola’s Weinberg. While making families aware of the lead is a start, the problem is too large to be taken on by the individual. Weinberg points to potential legislation being drafted by the Metropolitan Tenants Organization, an advocacy group for renters’ rights, that would require every apartment in the city to be inspected every few years, not just when a child is found to be lead poisoned. John Bartlett, director of the Metropolitan Tenants Organization, says they’re working on the ordinance. So far they’ve met with several aldermen, but none has signed on as a sponsor. Chicago doesn’t directly spend a dime on lead-poisoning prevention. The lead-poisoning-prevention department is funded through grants from outside organizations: the Department of Housing and Urban Development, the Illinois Department of Public Health, Cook County, and until recently, the CDC. From 2008 to 2011, the CDC gave the department nearly $5 million, but that ended in 2012, when the CDC’s national budget for lead-poisoning prevention was cut from $30 million to $2 million. Dr. Cortland Lohff, director of Chicago’s lead-poisoning-prevention program, says the department was forced to eliminate some inspector positions and use those funds to support other nursing and administrative positions. He says a new, smaller grant from the Cook County Department of Public Health will help rehab 300 homes over the next three years and remove lead hazards. So what does the city spend the rest of the grant money on? It’s not entirely clear. Although the 2012 city budget details what the department intends to spend in specific categories—inspectors, testing, epidemiologists, even office supplies—CDPH was unable to provide detailed numbers for previous years. Efrat Stein, a former department spokesperson, said those records were “not readily available,” and was unaware if the program spent every dollar collected on lead abatement. Quenjana Adams, the department’s current spokesperson, did not provide further information. Lohff points to the department’s successes, saying the number of children found to have suffered lead poisoning has vastly decreased over the last decade. But the city mainly focuses on children with higher levels of lead: ten and above. “The numbers of kids who have been lead poisoned have certainly come down, but when we start recognizing the dangers to kids at lower levels, those numbers are way up there still,” says Weinberg. By law, a building owner has to safely get rid of a lead hazard once it’s identified, but Weinberg says this doesn’t always happen. When a hazard isn’t taken care of, the city pursues the property owner, filing a case with administrative hearings and escalating it to housing court if the hazard isn’t taken care of. The entire process takes months, sometimes years. This year alone, the city has filed 114 cases in housing court over lead hazards that still haven’t been abated. In many households with toxic lead levels, families are often struggling to keep the lights on or put food on the table, says Judy Frydland, a city attorney who supervises lead cases in housing court. Frydland says her attorneys make sure lead hazards are cleaned up. She also says that, compared to the homeowners’ other struggles, the threat of lead can seem distant and vague. Nicholson Elementary kindergarten teacher Dorethea Lane first became aware of lead poisoning when a five-year-old boy named Michael ended up in her class. She had 32 kids in her classroom that year and the extra attention and help Michael needed was daunting. Lead poisoning had delayed his speech, he couldn’t focus, and he didn’t work well with the other children. She could see that Michael was bright, but he couldn’t communicate or finish a task. When she noticed that he could calm down if he had something to do with his hands, she brought in Legos for him to build with. He loved learning about the solar system and astronauts, so she would find books, pictures, and computer games about space to help him. Lane says no one—not teachers, principals, social workers, nor counselors—considers lead poisoning when trying to figure out what’s preventing a “low-performing” child from learning. She says lead poisoning has never been a part of her teacher training or professional development with the Chicago Public Schools. Michael’s progress has pushed Lane to learn more about how lead could be affecting her students. Ten years later, Michael has a larger vocabulary and no longer needs speech therapy. He still struggles with reading comprehension, but he excels in math. His attention span is getting better. Lane says that if teachers knew more about what lead does to the brain and how it was affecting kids in their classrooms, more could be done to help them. But there’s currently no coordinated effort between the Chicago Public Schools and the Chicago Department of Public Health to inform teachers or parents about the dangers of lead poisoning. CPS spokesperson Robyn Ziegler says the school system tries to encourage students to get tested for lead poisoning, as required by law, before they start school, and works to connect students who have lead poisoning to medical help and special education. But according to city data, less than half of Chicago’s kids have been tested for lead. In some neighborhoods, the testing rate is as low as 13 percent. Ziegler says CPS works with supporting organizations to address the issue of lead poisoning, but did not give names of any specific organizations or programs the district is involved in. Officials at CPS received Evens’s study, but had no official response. Ziegler notes that the district’s leadership has changed since the study was released. Patricia Robinson, Michael’s mother, believes that officials don’t care because the kids who are affected live in neighborhoods like Englewood, not where their own children live and go to school. She blames herself, too, for what she wishes she’d noticed a decade ago, when her little boy sat playing in the windowsill. Are you interested in helping others? Doing something positive with your free time? Being an advocate for social justice? Learning about current landlord/tenant issues and laws? 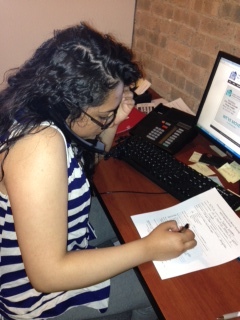 Join us for a tenants’ rights hotline training on Saturday, June 8, 2013. The training will take place from 10 am to 4:30 pm. Light breakfast at 9:30 & lunch will be provided. Please RSVP by May 31st, 2013 to Rocio Lugo at 773-292-4980 ext 229 or rocio@tenants-rights.org. Volunteer and help us prevent homelessness and improve quality life for Chicago tenants!!! 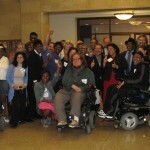 On May 8, 2013 the Cook County Board of Commissioners, in a landmark vote to end discriminatory housing practices throughout Suburban Cook County, voted to pass the Source of Income Amendment to the Cook County Human Rights Ordinance. The amendment passed with 9 votes in favor and 6 against. This amendment, introduced by Commissioner Jesus Garcia, and cosponsored by Commissioner Larry Suffredin and Commissioner Robert Steele, effectively prohibits landlords in suburban Cook County from discriminating against renters with Housing Choice Vouchers by refusing to consider them as tenants. Renters seeking to live in suburban Cook County have been struggling for the passage of this type of protection for years, which renters in the Chicago area already enjoy through the Chicago Residential Landlord and Tenant Ordinance. Friends, activists and dignitaries packed the upstairs lounge at Revolution Brewing for Metropolitan Tenants Organization’s annual Renters’ Spring Celebration. This year’s celebration commemorated the 45th anniversary of the passage of the federal Fair Housing Act. Honorees for the evening included Cook County Commissioners Larry Suffredin, Robert Steele and Jesus Garcia as Fair Housing Champions. MTO recognized the Commissioners for their support of fair housing standards in the suburbs and for their work on the Source of Income legislation to end discrimination in Suburban Cook County. Beto Berrera of Access Living and Kate Walz of the Sargent Shriver National Center on Poverty Law received Tenant Champion Awards for their work with tenants facing discrimination and their advocacy to expand fair housing laws. 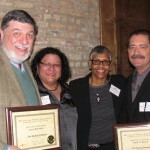 The Ralph Scott Award, named in memory of longtime Chicago community activist and environmental health advocate Ralph Scott, was awarded to Rose Green of New Directions for Change in recognition of her leadership among renters throughout the city to fight for housing justice. 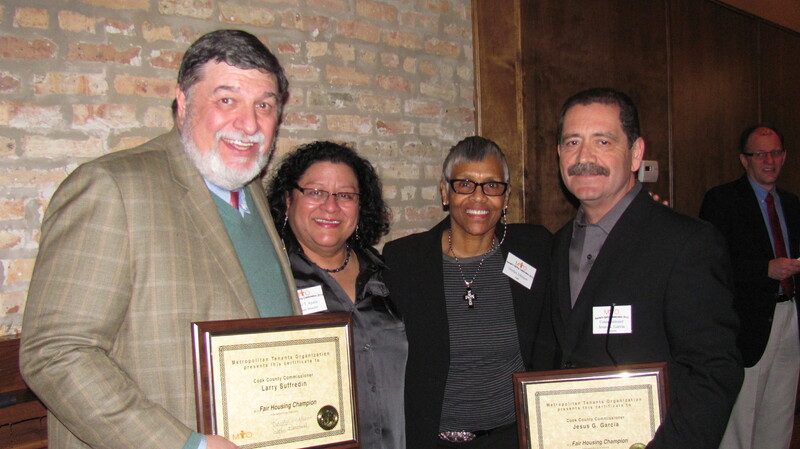 “It was a pleasure to honor Rose Green, Kate Walz, and Beto Barrera – three exemplary advocates for tenants in Chicago. It was also great to see so many old friends. I’m glad I came and will look forward to coming again next year!” Brian White, Charter One Bank. It is most fitting that the 2nd Annual Ralph Scott Award for Tenant Leadership will go to Rose Green, president of Rogers Park-based New Directions for Change, an organization which works on issues of low-income tenants, many of whom are voucher holders. Ralph dedicated his life to working with and empowering low-income renters to assert their right to decent, safe and affordable housing. For many of his years in Chicago, Ralph was a key force in the Rogers Park Tenants Committee which later became the Rogers Park Community Action Network (RPCAN). Ms. Green epitomizes the work of Ralph. 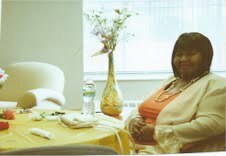 Like Ralph Scott, Ms. Green as a Section 8 voucher holder became active with RPCAN in the late 1990s. What drew Rose to RPCAN and organizing was her personal experience of having to face down discrimination on her own. When Rose first received her voucher she was excited that it would help her with her housing costs. As she searched for an apartment, she just could not find one. There were plenty out there but the landlords would always say they didn’t have one as soon as they learned she had a voucher. Then according to Rose, “I went to a meeting at RPCAN and found out I was being discriminated against and I’ve been involved ever since.” Rose organized the Rogers Park Section 8 Tenants Council. Despite health concerns, Rose has worked tirelessly for low-income tenants in general and subsidized tenants in particular. She developed effective working relationships with the Chicago Housing Authority which helped her advocate for both individual voucher holders and issues affecting voucher holders as a whole. For over six years, Rose has also been an ardent advocate for protecting suburban Cook County voucher holders from discrimination based on source-of-income. To purchase tickets or to sponsor a housing choice voucher holder’s attendance, please click here.